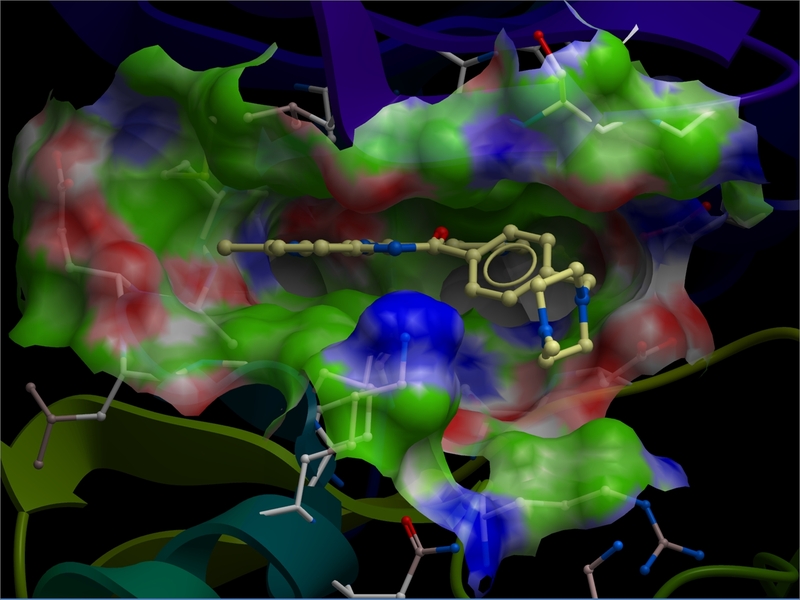 Generate pocket surfaces colored by binding property and display hydrogen bonds. 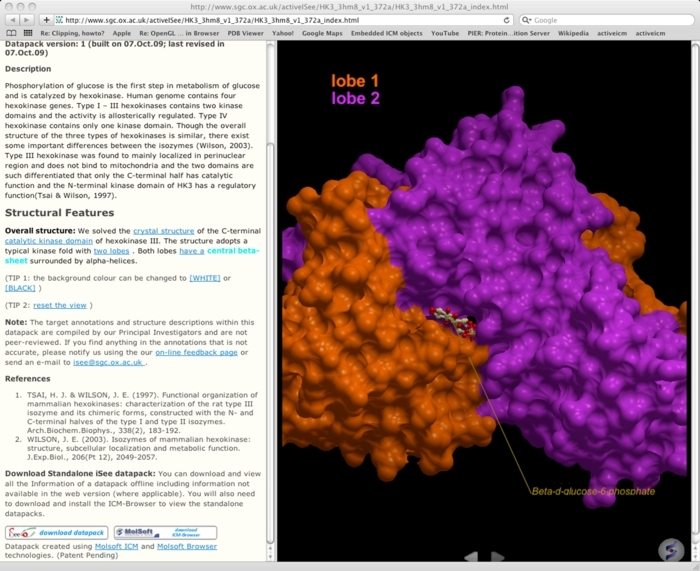 Embed fully interactive 3D molecules into web browsers such as Safari, IE, Google Chrome and Firefox. The PLoS One journal accepts fully interactive 3D documents in Active ICM. 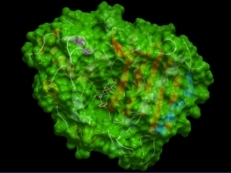 PloS Biology and Molecular and Cellular Proteomics journals also accept ActiveICM format. 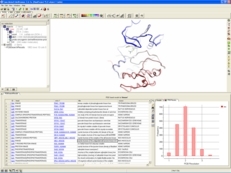 Powerful protein databank search capabilities and one click load and display options. 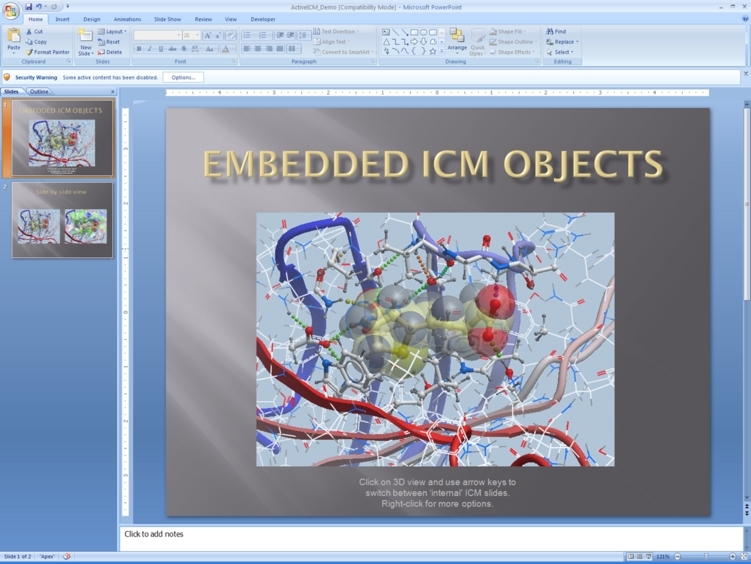 Embed fully interactive 3D molecules into Windows Powerpoint. Embed multiple fully interactive 3D molecules into Windows Powerpoint. 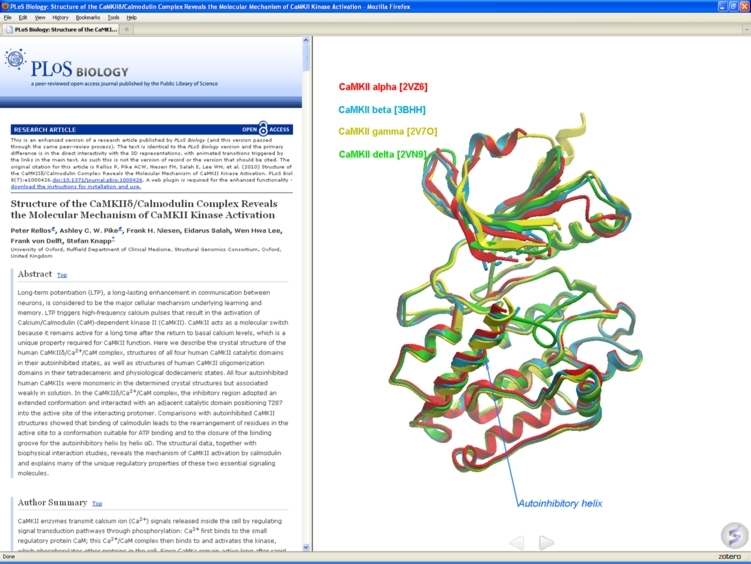 ICM-Browser provides a biologist or a chemist with direct access to the treasures of structural biology and protein families.It reads a variety of file formats directly from the database web-sites including: PDB, chemical, electron density maps, sequence and alignment files. 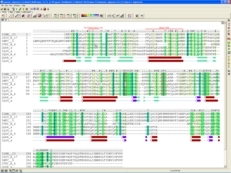 ICM-Browser provides a rich professional molecular graphics environment with powerful representations of proteins, DNA and RNA, and multiple sequence alignments. 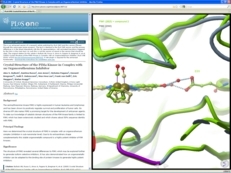 Scientists who wish to communicate their data via fully-interactive and annotated 3D slides via PowerPoint or on the Web. A biology student or researcher to look at biological structures from the PDB as well as sequences and alignments. A chemist who wants to view chemical structures and ligand-receptor interactions. 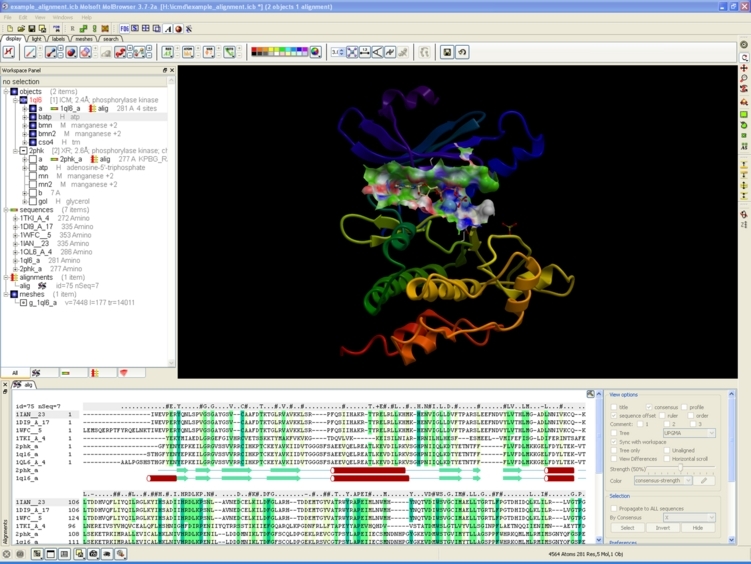 A researcher who wants to look at annotated models or alignments built by a modeler colleague who uses other ICM tools. 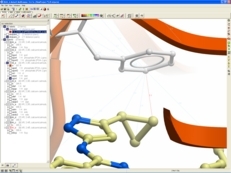 Display Transparent Ligand Binding Pocket Surfaces. 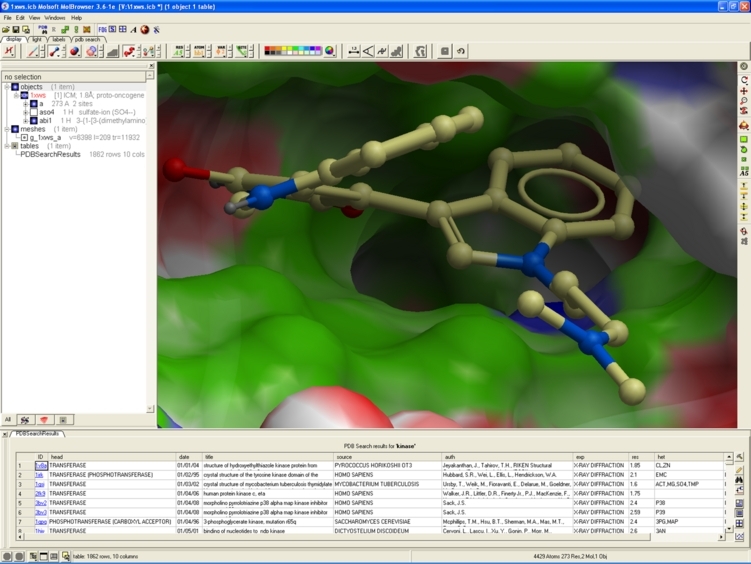 Display ligand binding pocket surface colored by binding property. 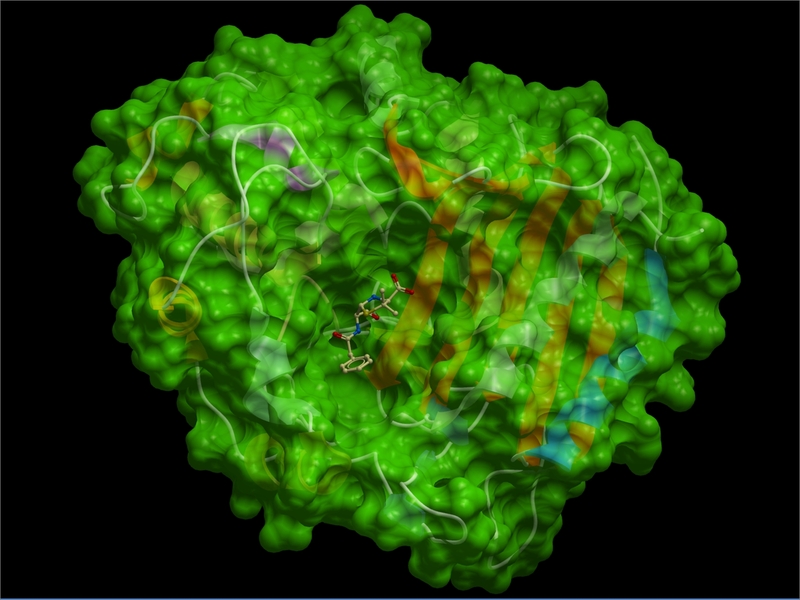 White=neutral surface, Green=hydrophobic surface, Red=hydrogen bonding acceptor potential, and Blue=hydrogen bond donor potential. In order to display the property surface the PDB file needs to be converted into an ICM object. 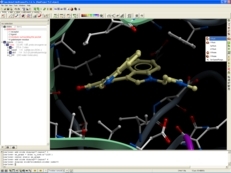 Add and Optimize Hydrogens to a PDB file and Display Hydrogen Bonds. 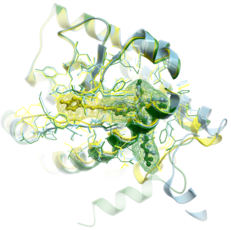 You can now convert a PDB file into an ICM object which is a full-atom representation of the molecule. 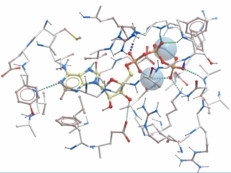 The hydrogen atoms can be optimized to identify their energetically optimal positions. 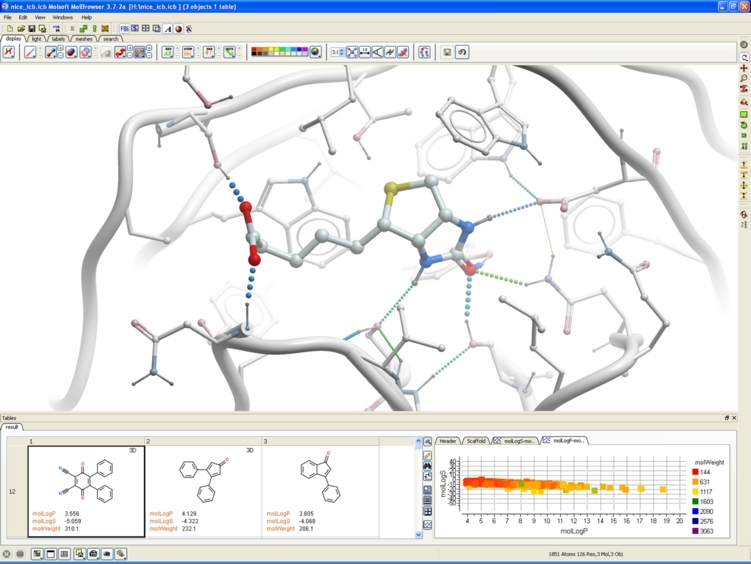 Once hydrogens are added to the molecule hydrogen bonds can be displayed.The coloring of the hydrogen bonds are red (strong - thick spheres) to blue (weak - thin spheres). 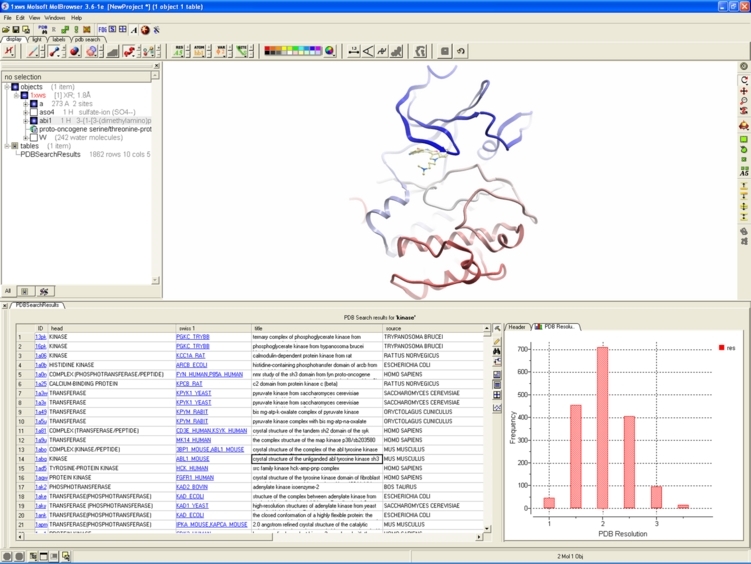 Generate and Display Surfaces. Generate and display molecule surfaces (meshes). 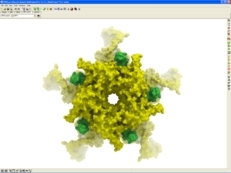 Display in dot, wire, solid rugged, solid smooth or smooth transparent representation. 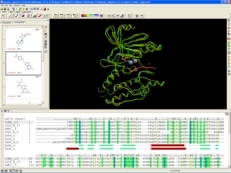 Anaglyph 3D can be viewed using low cost 3D glasses and without any expensive 3D compatible hardware or monitors. 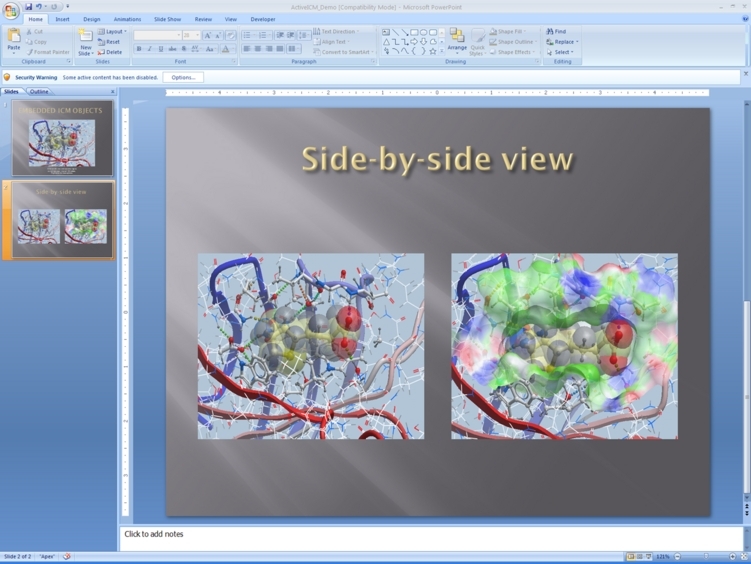 It can be viewed directly on your computer's monitor, conference room projector, or on your iPad or android device. You can also print the image out rendered for viewing in 3D. See the Minimum Recommended Hardware Specifications required to run the ICM-Browser software. 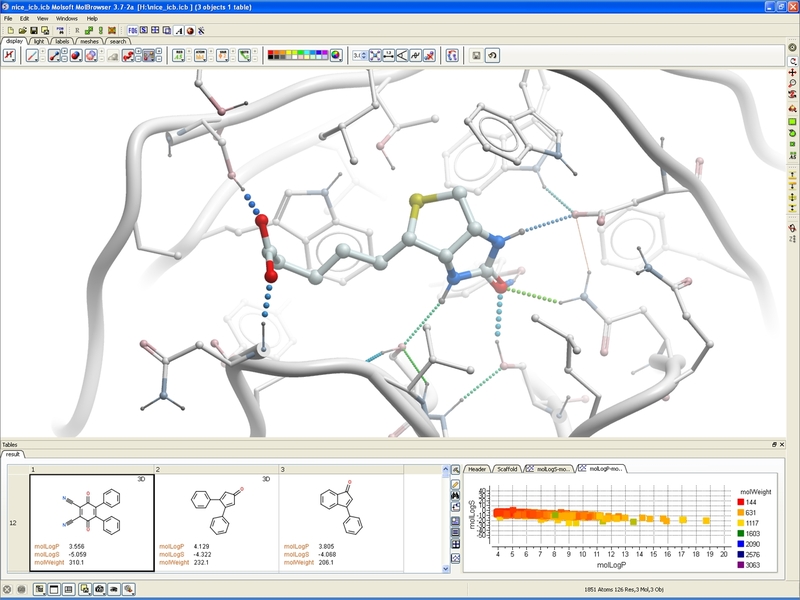 The next step up from ICM-Browser is the low cost ICM-Browser-Pro. Note: If the ICM Browser Software is licensed to you free of charge, it does not include technical support.Bug reports and reports of errors or other problems are appreciated and should be sent to support@molsoft.com. 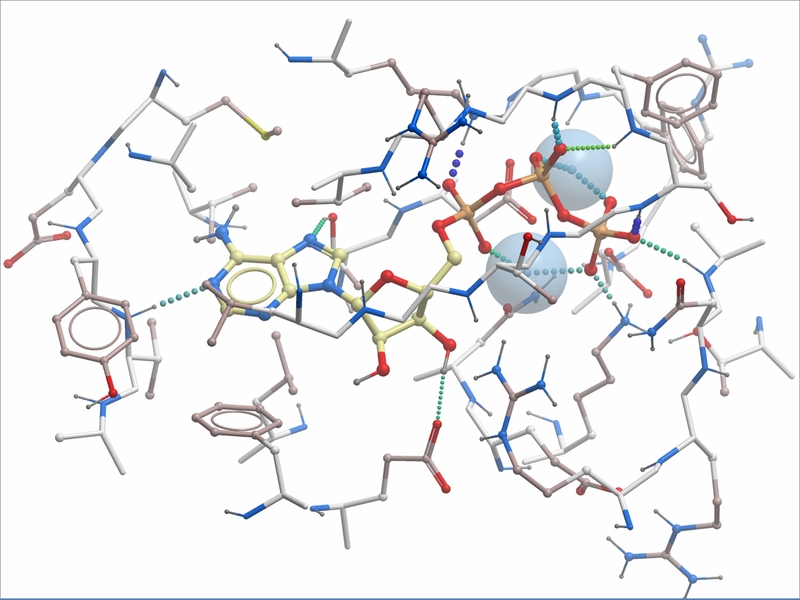 Copyright © 2019 Molsoft LLC.